Seattle’s beating heart is flush with global bites, trendy cocktails, and cultural hubs. Grab-and-go options abound downtown: Pop into The Crumpet Shop for British griddled breads with sweet or savory toppings, treat your taste buds to Szechuan flatbreads at tucked-away Country Dough, or head to the Westlake Park Food Truck Pod, where the rotating selection could include anything from Korean barbecue to falafel. Hit “Hoppy Hour” at Tankard & Tun for oysters on the half shell paired with beers from Pike Brewing Company. 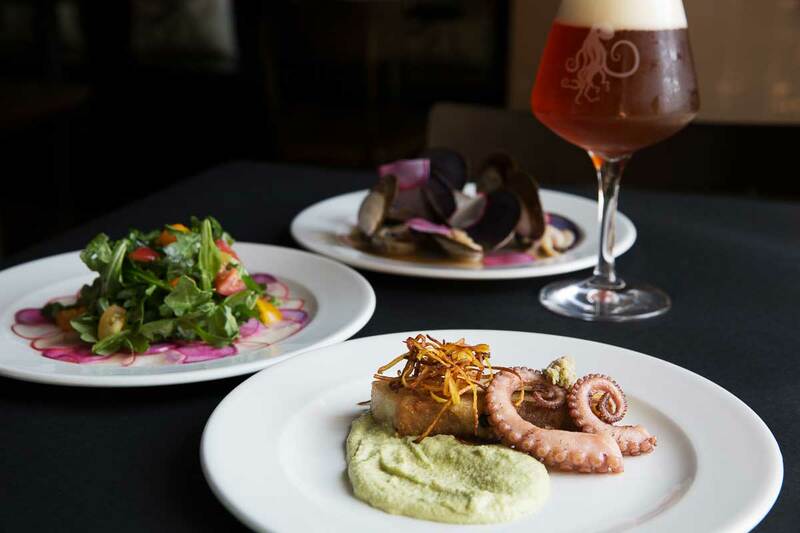 Afterward, dine on Pacific Northwest classics with contemporary twists while you enjoy views of Elliott Bay at Matt’s in the Market, or try traditional spaghetti carbonara, complete with pancetta and a saucy egg yolk, at Cortina, where pasta is made fresh daily. Elsewhere, the options are just as abundant. New American Heartwood Provisions excels in food and drink pairings, while Tulio’s sweet potato gnocchi is not to be missed. End the day with a sweet treat at the adorable Shug’s Soda Fountain, a vintage-style ice cream parlor, or Bottega Italiana, serving up authentic gelato. Amid the spectacle of fish-tossing at iconic Pike Place Market, there’s also a nearly unlimited selection of fresh produce and handmade goods. 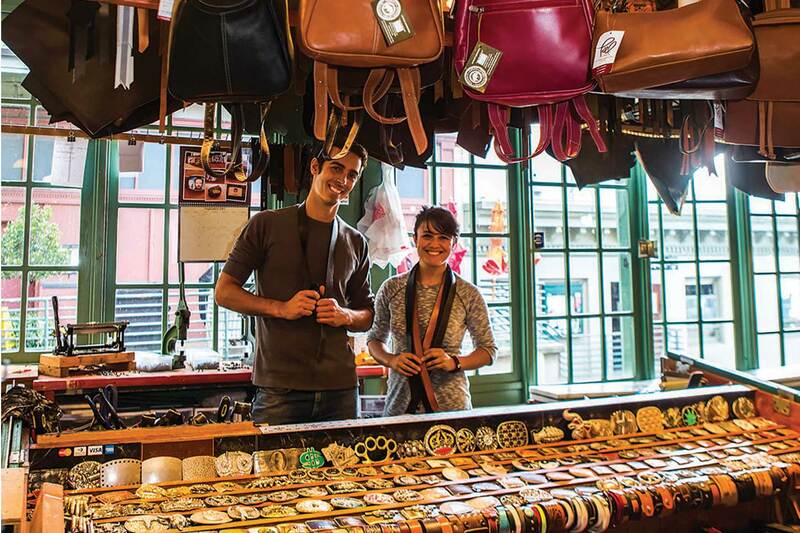 Check out Westlake Center for handcrafted jewelry, glass art, and specialty foods from local artisans at Made in Washington. Stop into Pacific Place for high-end fashion at Barneys New York, JNBY, Michael Kors, and others. Outdoorsy types—and those who just like to dress the part—flock to Wayward for stylish fleece jackets, flannel shirts, and rugged travel gear. Marvel at the diverse featured exhibitions at the Seattle Art Museum, which currently include everything from 17th-century Chinese porcelain and Native American carved wood artifacts to American Modernism and European avante-garde. For a night on the town, see what’s playing at the Paramount Theatre, which hosts national Broadway tours and big-time bands, or at 5th Avenue Theatre, which showcases full-scale musicals in a historic setting. Still got energy? 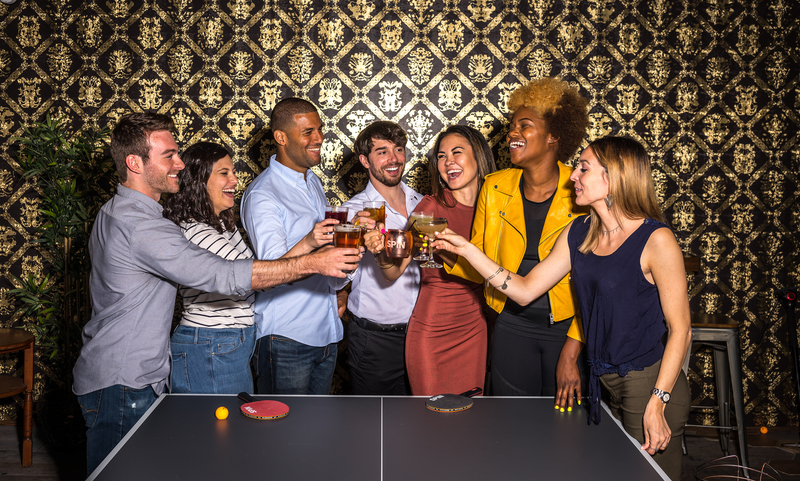 Drop into SPiN Seattle, a hip underground Ping-Pong bar where novices and pros alike paddle the night away. Pike Place Market offers a smorgasbord of tastes to grab-and-go with, or you can track the whereabouts of the city’s varied food trucks at seattlefoodtruck.com/schedule.